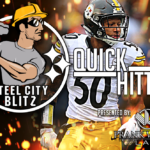 Home Player Spotlight	Has AB Taken a Page From Terrell Owens’ Playbook? I know. You’re tired of hearing about Antonio Brown. Ya well, so am I but this isn’t going away anytime soon and the more I look at what has transpired the more I realize that I’ve seen this before. In fact, I’m pretty sure it was one of AB’s advisors making me feel this way. Ten years ago, Terrell Owens accused his quarterback Tony Romo and teammate Jason Witten of getting together and devising plays that froze Owens out. The jealousy that Owens had was known throughout the Cowboys’ locker room and ironically some of that centered around a loss to the Steelers. Romo wasn’t the only quarterback Owens had issues with (hello Donovan McNabb) as most of you know but the level of envy that Owens had of Witten’s relationship with Romo was widely known. Some of the narratives that have been established in regards to Brown have centered on his alleged jealousy of JuJu Smith-Schuster. That boiled over after JuJu was named the team’s MVP by his teammates. Brown has yet to speak to this issue or any of the other issues that have him and the Pittsburgh Steelers in their current state. One cannot dismiss the similarities however between Brown’s behavior and that of Owens. Again, this isn’t far from the behavior of Owens. For much of his career he said sportswriters were often the cause of his problems. He cited them as the cause of his not being able to find work towards the end of his career. He even went on the “Dr. Phil Show” to address mothers of his four children and blamed the media yet again. Brown has certainly found someone he can relate to in Owens. Both are talented wide receivers who are/will be in the Hall of Fame, have never won the Super Bowl and seem to have or had struggles in their locker rooms. A recent article suggested that Mike Tomlin said once AB’s production no longer exceeds his off-field issues then he becomes expendable. Owens was very much the same. Teams were willing to put up with a lot of the ‘diva-type’ behavior because he produced. When that production fell, he was no longer a player worth tolerating. I do not yet know what the future holds for the Steelers and Antonio Brown. While I doubt it at this time, there exists a possible reconciliation. 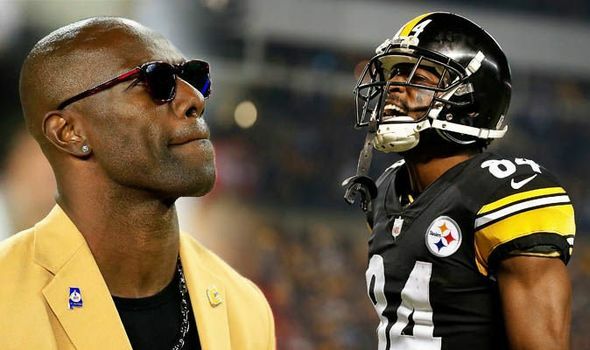 As the days pass however it becomes more and more clear to me that we’ve seen this show before with Terrell Owens and maybe that ending sits well with AB. I know it doesn’t for me and I doubt it does for you either.